I’ve talked countless times about how much I love to journal and write down my thoughts. In fact, my Gratitude and Lessons blogs are created from my daily journal entries. As much as I’ve talked about journaling, I’ve never talked about how to start a journal. So here you go! The first step is starting a journal is to buy or find one. I can’t tell you how many times I’ve decluttered my house and found numerous unused journals. Try looking around your house and see if you can find any. If not, it is totally fine to head out and find one. If you’re like me, you want a journal that looks pretty. Many of my journals are my favorite color (pink) or have quotes on them. The beauty of journals is that they come in many shapes, sizes, and colors. Below are a few that I like. So know you’ve bought your journal. Time to decide what you want to write about. 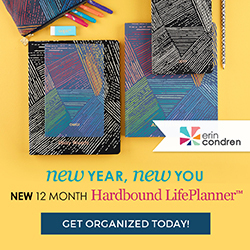 Do you want to journal about your daily life or maybe your career aspirations? The only limit is your imagination, but here are a few ideas. I write in my gratitude and lessons journals every night before I go to bed, but everyone is different. Think about when you have a break in the day and can fully concentrate on what you’re writing in your journal. For you that might be before you go to bed (like me), when you wake up in the morning, or during your lunch break. Once you make your schedule or routine, try and stick with it. It’ll make journaling a habit for you. Decorating your journal can be half the fun! You can use anything you want to decorate your journal including stickers, pictures that you’ve printed out or drawn yourself, or washi tape. Again, the only limit is your imagination. Below are some journaling accessories can help get you started. Now this is the meat and potatoes. You’ve bought your journal, decided what you want to write about, decided on a routine and decorated it (if you’re so inclined). Now it’s actually time to start journaling which can be daunting at first! Keep scrolling to get a few journaling prompts plus a FREE printable with even more! Click here to get these as a printable to carry with you in your journal. Love The practical tips. Love your passion behind this. Love the prompts. And I looove your logo!! Thank you! Good luck on your journaling journey! Great tips! 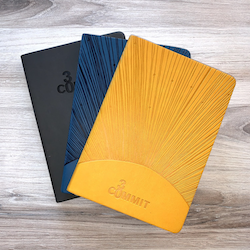 I just bought a yearless journal thathas five spots in each day so that you can compare your days over a five-year period. I think it will be really interesting! I love the prompts you gave, these are very thoughtful. I feel like esepecially the mental health could be so useful to a couple people! Great job! Thank you! So glad you liked the prompts!